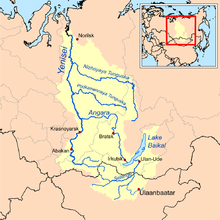 Dené–Yeniseian is a proposed language family consisting of the Yeniseian languages of central Siberia and the Na-Dené languages of northwestern North America. Reception among experts has been largely, though not universally, favorable; thus, Dené–Yeniseian has been called "the first demonstration of a genealogical link between Old World and New World language families that meets the standards of traditional comparative-historical linguistics". Amateur and professional researchers in historical linguistics have long sought to link the various known language families around the world into macrofamilies. The putative relationship between Na-Dené and Yeniseian families was first proposed by Alfredo Trombetti in 1923. Much of the early evidence adduced has been typological; in particular, both families have a complex agglutinative prefixing verb structure, which differs from most of the other languages in Asia. The first peer-reviewed publication to propose the existence of a distinct Dené–Yeniseian family was written by the macrofamily supporter Merritt Ruhlen (1998) in Proceedings of the National Academy of Sciences, United States. However, Edward Vajda (2010a:34) states (without specifying which ones) that 26 of the 34 sets of words offered by Ruhlen are coincidental look-alikes, whereas 8 of Ruhlen's word sets follow Vajda's rules of sound correspondences. Michael Fortescue independently suggested the possible existence of a Dené–Yeniseian family in his 1998 book Language Relations Across Bering Strait (see pages 213–215). He writes, "I have attempted throughout to find a middle way between the cavalier optimism of 'lumpers' and the pessimism of orthodox 'splitters' on the matters of deep genetic relationship between the continents" (page 1). As alluded to by Fortescue's comment, scientific investigations of long-range language family relationships have been complicated by an ideological dispute between the so-called "lumpers" and "splitters", with "lumpers" caricatured as bumbling amateurs willing to group together disparate, unrelated families based on chance resemblances and the "splitters" caricatured as rigid enforcers of orthodoxy willing to "shout down" researchers who disagree with their belief that long-range connections are impossible to establish. At a symposium in Alaska in 2008, Edward Vajda of Western Washington University summarized ten years of research, based on verbal morphology and reconstructions of the proto-languages, indicating that the Yeniseian and Na-Dené families might be related. The summation of Vajda's research was published in June 2010 in The Dene–Yeniseian Connection in the Anthropological Papers of the University of Alaska. This 369-page volume, edited by James Kari and Ben Potter, contains papers from the February 26–29, 2008, symposium plus several contributed papers. Accompanying Vajda's lead paper are primary data on Na-Dene historical phonology by Jeff Leer, along with critiques by several linguistic specialists and articles on a range of topics (archaeology, prehistory, ethnogeography, genetics, kinship, and folklore) by experts in these fields. The evidence offered by Vajda includes over 110 proposed cognate morphemes and about ten homologous prefix and suffix positions of the verbs. Vajda compared the existing reconstructions of Proto-Yeniseian and Proto-Na-Dené, augmented the reconstructions based on the apparent relationship between the two, and suggested sound changes linking the two into a putative Proto-Dené-Yeniseian language. He suggested that Yeniseian tone differences originated in the presence or absence of glottalized consonants in the syllable coda, as still present in the Na-Dené languages. Vajda and others also note that no compelling evidence has been found linking Haida with either Na-Dené or Yeniseian (Vajda 2010b:115, Kari and Potter 2010:4). As for the wider Dené-Caucasian hypothesis (see above), while Vajda did not find the kinds of morphological correspondences with these other families that he did with Yeniseian and Na-Dené, he did not rule out the possibility that such evidence exists, and urges that more work be done (Vajda 2010b). In 2011 Vajda published a short annotated bibliography on Dené-Yeniseian languages (follow link below). On March 24, 2012, the Alaska Native Language Center hosted the Dené-Yeniseian Workshop at the University of Alaska Fairbanks. There were nine papers, the first new papers on Dené–Yeniseian since the 2010 volume was published. As of July 2012, there are no plans to publish the papers, but video from the workshop is available. Vajda's presentations at the 2012 workshop augmented his proposal with additional linguistic and non-linguistic evidence. He discussed a study he did with Johanna Nichols investigating the history of complex prefixing verb structures in various families possessing morphology of this sort. His conclusion was that, contrary to prevailing belief, such structures are often preserved intact with little change over several thousands of years, and as a result may actually be stronger evidence of a genetic connection than the lexical relationships that are traditionally sought. As a result, he agreed with the consensus belief that lexical evidence of a genetic relationship becomes virtually undetectable after about 8,000 to 10,000 years of linguistic separation, but suggested that certain sorts of complex morphology may remain stable beyond this time period. Further evidence for Dené–Yeniseian is in Vajda's 2013a article "Vestigial possessive morphology in Na-Dene and Yeniseian". Vajda presents comparanda for an ancient Dene-Yeniseian possessive connector prefix (possibly *ŋ) that appears in idiosyncratic ways in Dene (or Athabaskan), Eyak, Tlingit, and Yeniseian nouns, postpositions, directionals, and demonstratives. Vajda also suggests one new lexical cognate: PA directional *ñəs-d "ahead", "out on open water" and Yeniseian root *es "open space". In terms of the sections within Vajda's 2010 paper, this 2013 article can be read as an addition to his §2 (which ends on p. 63). In a subsequent article (Vajda 2013b), Vajda discusses features in Ket that arose due to prolonged areal contact with suffixal agglutinating languages. In his 2012 presentation Vajda also addressed non-linguistic evidence, including analyses of Y-chromosome and mitochondrial DNA haplogroups, which are passed unchanged down the male and female lines, respectively, except for mutations. His most compelling DNA evidence is the Q1 Y-chromosomal haplogroup subclade, which he notes arose c. 15,000 years ago and is found in nearly all Native Americans and nearly all of the Yeniseian Ket people (90%), but almost nowhere else in Eurasia except for the Selkup people (65%), who have intermarried with the Ket people for centuries. Using this and other evidence, he proposes a Proto-Dené-Yeniseian homeland located in eastern Siberia around the Amur and Aldan Rivers. These people would have been hunter-gatherers, as are the modern Yeniseians, but unlike nearly all other Siberian groups (except for some Paleosiberian peoples located around the Pacific Rim of far eastern Siberia, who appear genetically unrelated to the Yeniseians). Eventually all descendants in Eurasia were eliminated by the spread of reindeer-breeding pastoralist peoples (e.g. the speakers of the so-called Altaic languages) except for the modern Yeniseians, who were able to survive in swampy refuges far to the west along the Yenisei River because it is too mosquito-infested for reindeer to survive easily. Contrarily, the caribou (the North American reindeer population) were never domesticated, and thus the modern Na-Dené people were not similarly threatened. In his 2012 reply to George Starostin, Vajda clarifies that Dené-Yeniseian "as it currently stands is a hypothesis of language relatedness, but not yet a proper hypothesis of language taxonomy". He leaves "open the possibility that either Yeniseian or ND (or both) might have a closer relative elsewhere in Eurasia". At the time of publication Vajda's proposals had been favorably reviewed by several specialists of Na-Dené and Yeniseian languages—although at times with caution—including Michael Krauss, Jeff Leer, James Kari, and Heinrich Werner, as well as a number of other respected linguists, such as Bernard Comrie, Johanna Nichols, Victor Golla, Michael Fortescue, Eric Hamp, and Bill Poser (Kari and Potter 2010:12). One significant exception is the critical review of the volume of collected papers by Lyle Campbell and a response by Vajda published in late 2011 that imply that the proposal is not settled at the present time. Other reviews and notices of the volume appeared in 2011 and 2012 by Keren Rice, Jared Diamond, and Michael Dunn. Sicoli and Holton 2014, applying Bayesian analysis to typological data from Dene and Yeniseian languages constructed phylogenies that suggest that the Dene-Yenisiean connection "more likely represents a radiation out of Beringia with a back migration into Central Asia than a migration from central Asia or western Asia to North America". In 2012, linguist George Starostin questioned the validity of the macrofamily, citing the fact that "Vajda’s 'regular correspondences' are not... properly 'regular' in the classic comparative-historical sense of the word". He also notes that Vajda's "treatment of the verbal morphology" involves "a tiny handful of intriguing isomorphisms... surrounded by an impenetrable sea of assumptions and highly controversial internal reconstructions that create an illusion of systemic reconstruction where there really is none". Nonetheless, Starostin concedes that Vajda's work "is, by all means, a step forward", and that it "may eventually point the way towards research on grammaticalization paths in Yeniseian and" Na-Dené. In 2015, linguist Paul Kiparsky endorsed Dené–Yeniseian, saying that "the morphological parallelism and phonological similarities among corresponding affixes is most suggestive, but most compelling evidence for actual relationship comes from those sound correspondences which can be accounted for by independently motivated regular sound changes". Geoffrey Caveney (2014) suggests that the Yeniseian, Sino-Tibetan, and Na-Dene languages are related but says that his analysis does not support the Sino-Caucasian or Dene-Caucasian hypotheses. A 2017 study identifies Paleo-Eskimo genetic ancestry in Athabaskans, as well as in other Na-Dene-speaking populations. The Paleo-Eskimo peoples inhabited the Arctic region from Chukotka to Greenland c. 2500 BC. The authors argue that the Paleo-Eskimos lived alongside Na-Dene ancestors for millennia. This provides evidence of a genetic connection between Siberian and Na-Dene populations mediated by Paleo-Eskimos. Dené–Yeniseian is generally classified as follows. Using computational phylogenetic methods, Sicoli & Holton (2014) suggest that Yeniseian represents a back-migration from Beringia back to Asia. Their classification is as follows, with Northern Athabaskan found to be paraphyletic. Individual languages are listed in italics. Look up Appendix:Swadesh lists for Dené–Yeniseian languages in Wiktionary, the free dictionary. Below is a table of Ket and Navajo words. Notes: Navajo inalienable nouns are attached with the prefix a-, which means "someone's". ^ Bernard Comrie (2008) "Why the Dene-Yeniseic Hypothesis is Exciting". Fairbanks and Anchorage, Alaska: Dene-Yeniseic Symposium. ^ Merritt Ruhlen (November 1998). "Anthropology : The origin of the Na-Dene" (PDF). Proc. Natl. Acad. Sci. USA. 95: 13994–13996. ^ Fortescue, Michael D. (30 November 1998). Language Relations Across The Bering Strait: Reappraising the Archaeological and Linguistic Evidence. Bloomsbury Academic. ISBN 9780304703302. Retrieved 8 October 2018 – via Google Books. ^ Lyle Campbell, Historical Linguistics: An Introduction (2nd Edition), MIT Press, 2004. ^ Merritt Ruhlen, The Origin of Language: Tracing the Evolution of the Mother Tongue, Wiley, 1994. ^ a b Vajda, Edward. "Geography, Demography and Time Depth: Explaining how Dene–Yeniseian is possible". Presentation at the 2012 Dene–Yeniseian Workshop, Alaska Native Language Center, University of Alaska Fairbanks, March 24, 2012. Available online. ^ Vajda, Edward (2012). "The Dene-Yeniseian connection: a reply to G. Starostin"
^ Bill Poser. "The languages of the Caucasus". Language Log, 25 August 2008. Accessed 22 July 2017. ^ Lyle Campbell, 2011, "Review of The Dene-Yeniseian Connection (Kari and Potter)", International Journal of American Linguistics 77:445-451. "In summary, the proposed Dene-Yeniseian connection cannot be embraced at present. The hypothesis is indeed stimulating, advanced by a serious scholar trying to use appropriate procedures. Unfortunately, neither the lexical evidence (with putative sound correspondences) nor the morphological evidence adduced is sufficient to support a distant genetic relationship between Na-Dene and Yeniseian." (pg. 450). ^ Edward Vajda, 2011, "A Response to Campbell", International Journal of American Linguistics 77:451-452. "It remains incumbent upon the proponents of the DY hypothesis to provide solutions to at least some of the unresolved problems identified in Campbell's review or in DYC itself. My opinion is that every one of them requires a convincing solution before the relationship between Yeniseian and Na-Dene can be considered settled." (pg. 452). ^ "Pause Is Seen in a Continent's Peopling". The New York Times. 13 Mar 2014. ^ "Ancient Migration Patterns to North America Are Hidden in Languages Spoken Today". Smithsonian Magazine. ^ Kiparsky, Paul (2015). "New perspectives in historical linguistics". In: The Routledge Handbook of Historical Linguistics ed. by C. Bowern and B. Evans. pp 65–67. ^ Sicoli, Mark A; Holton, Gary (2014). "Back-Migration from Beringia to Asia. PLoS ONE 9(3): e91722". Linguistic Phylogenies Support. 9 (3): e91722. doi:10.1371/journal.pone.0091722. PMC 3951421. PMID 24621925. Vajda, Edward J. (2010a). "A Siberian Link with Na-Dene Languages.". In Kari, J.; Potter, B. (eds.). The Dene–Yeniseian Connection. Anthropological Papers of the University of Alaska, new series. 5. Fairbanks: University of Alaska Fairbanks, Department of Anthropology. pp. 33–99. ISBN 9781555001124. Vajda, Edward J. (2010b). "Yeniseian, Na-Dene, and Historical Linguistics.". In Kari, J.; Potter, B. (eds.). The Dene–Yeniseian Connection. Anthropological Papers of the University of Alaska, new series. 5. Fairbanks: University of Alaska Fairbanks, Department of Anthropology. pp. 100–118. ISBN 9781555001124. Vajda, Edward J. (2011). "Dene-Yeniseian Languages". Oxford Bibliographies Online. Retrieved 5 November 2018. Vajda, Edward J. (2013a). "Vestigial possessive morphology in Na-Dene and Yeniseian." (PDF). In Hargus, Sharon; Vajda, Edward; Hieber, Daniel (eds.). Working papers in Athabaskan (Dene) Languages 2012. Alaska Native Language Center Working Papers. 11. Fairbanks, AK: ANLC. pp. 79–91. Retrieved 5 November 2018. Vajda, Edward J. (2013b). "Metathesis and Reanalysis in Ket". Modern & Classical Languages. (66): 14–16. Retrieved 5 November 2018. Campbell, Lyle (July 2011). "Review of The Dene-Yeniseian Connection, ed. by James Kari and Ben A. Potter" (PDF). International Journal of American Linguistics. 77 (3): 445–451. doi:10.1086/660977. ISSN 0020-7071. Retrieved 5 November 2018. Diamond, Jared (August 2011). "Linguistics: Deep relationships between languages". Nature. 476 (7360): 291–292. doi:10.1038/476291a. ISSN 0028-0836. PMID 21850102. Retrieved 5 November 2018. Dunn, Michael (2012). "Review of The Dene–Yeniseian Connection (Kari and Potter, eds.)". Language. 88 (2): 429–432. doi:10.1353/lan.2012.0036. ISSN 1535-0665. Retrieved 5 November 2018. Flegontov, Pavel; Changmai, Piya; Zidkova, Anastassiya; Logacheva, Maria D.; Altınışık, N. Ezgi; Flegontova, Olga; Gelfand, Mikhail S.; Gerasimov, Evgeny S.; Khrameeva, Ekaterina E.; Konovalova, Olga P.; Neretina, Tatiana; Nikolsky, Yuri V.; Starostin, George; Stepanova, Vita V.; Travinsky, Igor V.; Tříska, Martin; Tříska, Petr; Tatarinova, Tatiana V. (11 February 2016). "Genomic study of the Ket: a Paleo-Eskimo-related ethnic group with significant ancient North Eurasian ancestry". Scientific Reports. 6 (1): 20768. doi:10.1038/srep20768. PMC 4750364. PMID 26865217. Fortescue, Michael (1998). Language Relations across Bering Strait: Reappraising the Archaeological and Linguistic Evidence.'. London and New York: Cassell. ISBN 9781847141644. Retrieved 5 November 2018. Kari, James; Potter., Ben A. (2010). "The Dene–Yeniseian Connection, Bridging Asia and North America.". In Kari, J.; Potter, B. (eds.). The Dene–Yeniseian Connection. Anthropological Papers of the University of Alaska, new series. 5. Fairbanks: University of Alaska Fairbanks, Department of Anthropology. pp. 1–24. ISBN 9781555001124. Kiparsky, Paul (2015). "New perspectives in historical linguistics." (PDF). In Bowern, C.; Evans, B. (eds.). The Routledge Handbook of Historical Linguistics. London and New York: Routledge. pp. 64–102. Retrieved 5 November 2018. Rice, Keren (2011). "Review of The Dene-Yeniseian Connection, ed. by James Kari and Ben A. Potter". Diachronica. 28 (2): 255–271. Rubicz, Rohina; Melvin, Kristin L.; Crawford, Michael H. (2002). "Genetic Evidence for the Phylogenetic Relationship between Na-Dene and Yeniseian Speakers". Human Biology. 74 (6): 743–760. PMID 12617487. Retrieved 5 November 2018. Ruhlen, Merritt (10 November 1998). "The origin of the Na-Dene". Proceedings of the National Academy of Sciences. 95 (23): 13994–13996. doi:10.1073/pnas.95.23.13994. ISSN 0027-8424. Retrieved 5 November 2018. Sicoli, Mark A.; Holton, Gary (12 March 2014). "Linguistic Phylogenies Support Back-Migration from Beringia to Asia". PLoS ONE. 9 (3): e91722. doi:10.1371/journal.pone.0091722. ISSN 1932-6203. PMC 3951421. PMID 24621925. Vajda, Edward J. (2011). "A Response to Campbell". International Journal of American Linguistics. 77 (3): 451–452. Wilson, Joseph A. P. (2018). "Postscript to the Union of Two Worlds: An Expository Note". Folklore. 129 (1): 78–90. doi:10.1080/0015587x.2017.1375255. ISSN 0015-587X. Retrieved 5 November 2018. Wilson, Joseph A. P. (2016). "The Union of Two Worlds: Reconstructing Elements of Proto-Athabaskan Folklore and Religion". Folklore. 127 (1): 26–50. ISSN 0015-587X. Retrieved 5 November 2018. Wilson, Joseph A. P. (2008). "A New Perspective on Later Migration(s)The Possible Recent Origin of Some Native American Haplotypes". Critique of Anthropology. 28 (3): 267–278. doi:10.1177/0308275X08094389. Retrieved 5 November 2018. March 24, 2012 Dene-Yeniseian Workshop, University of Alaska Fairbanks, sponsored by ANLC; lecture by Ed Vajda and other papers now available via ANLC and YouTube. Linguistic Phylogenies Support Back-Migration from Beringia to Asia – Presents evidence that the ancestors of the Yeniseian-speaking people went west from the Bering land bridge, whereas the ancestors of Na-Dené went east. "Linguist's 'big data' research supports waves of migration into the Americas" Phys.org – Follow up study to the link above.